TBILISI, DFWatch–The president of Georgia’s National Bank may be impeached after former Prime Minister Bidzina Ivanishvili on Thursday accused him of inaction in the face of a sudden thirty percent drop in the lari. The National Bank is an independent body whose main function is to ensure price stability and the functioning of the monetary system according a policy determined by parliament. It is also responsible for the international currency reserves and is monitoring the bank system. At the time when there first was a drop in the value of the national currency, in November, 2014, National Bank president Giorgi Kadagidze called on the government to reduce its expenses, but the government said that everything was alright, until the lari hit a 14 year record low last Tuesday. 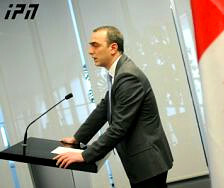 On Thursday, Bidzina Ivanishvili accused Kadagidze of having taken the wrong decisions when the lari dropped. After this, some members of government started saying the same. An expert group visiting from the International Monetary Fund (IMF) is now evaluating the monetary situation and the steps taken by the government. In a week, the mission will report its findings, but officials are already accusing the National Bank president. 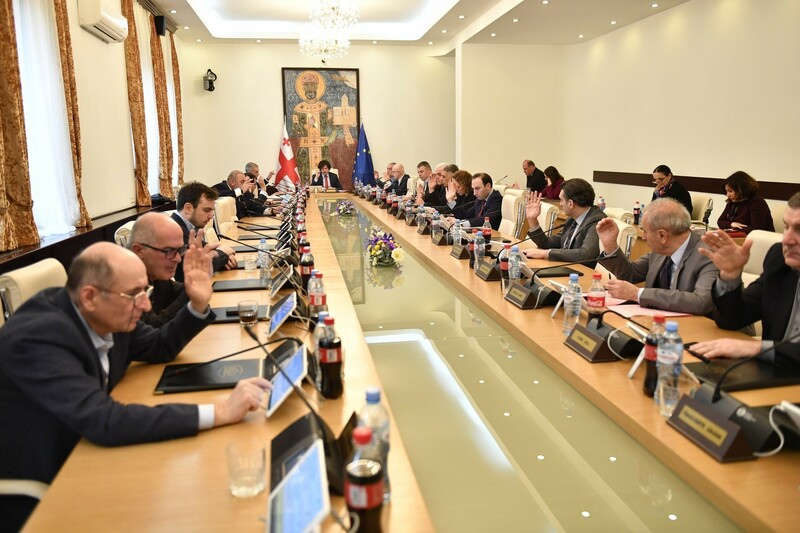 They criticize him of not intervening and furthermore of being an allied of the former ruling party and trying to ‘set off a panic’ in the country, as Ivanishvili described it. Kadagidze was appointed in 2009, when the National Movement was in government. He was elected for a seven year term, which is why the Georgian Dream government hasn’t replaced him. This is why many think that the current government wants to impeach him. 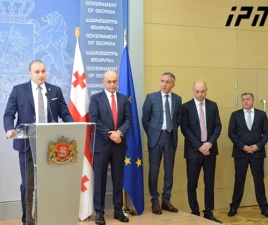 Davit Saganelidze, a member of parliament from the coalition, told journalists that the issue of impeachment will become clear after the National Bank president has presented his report to parliament. He is obliged by law to present the Bank’s annual report in May, but the report is about last year, so many expect that parliament will bring the issue up sooner. 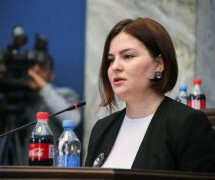 MP Manana Kobakhidze, also from the coalition, says parliament’s economy committee will discuss the impeachment issue. According to Georgian legislation, only parliament may impeach the National Bank president and it requires the support of at least one third of MPs. There are 150 seats in parliament, so 50 MPs are needed. But in order to raise the issue of impeachment, the National Bank president must be accused of violating the Constitution or the Criminal Code. If the court concludes that he really violated the law, it’s necessary that minimum 76 MPs votes for impeachment in order to proceed with such a procedure. 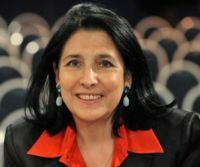 The ruling coalition still has enough seats, and if a proposal to go ahead with impeachment is put to a vote, most likely they will be able to impeach Kadagidze. 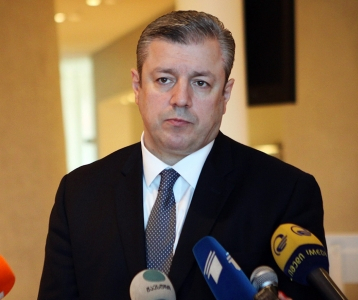 Constitutional analyst Zurab Jibghashvili told DF Watch that the accusation that Kadagidze didn’t take timely steps to overcome the crisis may be considered negligence in his job, which is a criminal violation. So he thinks this option may be used if they raise the issue of impeachment. But Jibghashvili also thinks it will be very difficult to prove this.